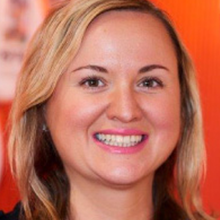 Anna Yudina joined The Toy Association in February 2015 as the Director of Marketing Initiatives. Ms. Yudina is spearheading the Association’s parent-focused The Genius of Play™ movement to raise awareness of play as a crucial part of child development and encourage families to make time for play in their daily lives. Since its launch in June 2015, The Genius of Play has generated over 3.6 billion impressions and 28 million engagements among the target audience. Previously, Ms. Yudina has worked in digital marketing, product development and brand management roles that span across several consumer product categories including toys, beverages, household/DIY, and promotional products. She holds a Master of Business Administration Degree in Marketing Management from Baruch College, The City University of New York.